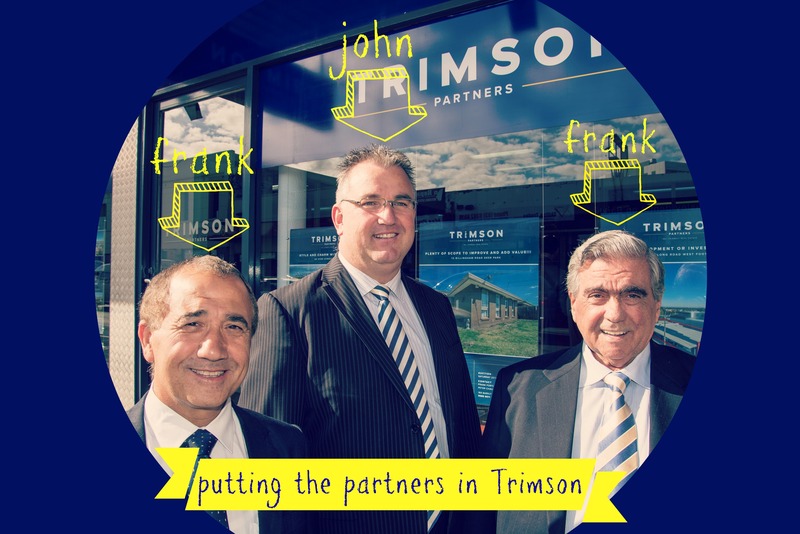 They don’t make ’em like they used to – a phrase that rings true when it comes to veteran estate agent Frank Trimboli. As much of an icon of the west as Franco Cozzo or T. Cavallaro & Sons – everyone seems to know about Frank. That’s because he’s been working hard to elevate both himself and his real estate business in one community since 1959. 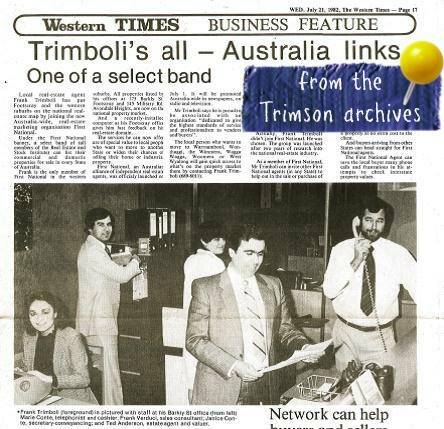 When I began helping to build Frank’s latest iteration of his brand online – Trimson Partners Real Estate – I was delighted to discover he had so many wonderful newspaper cuttings of his career in real estate. 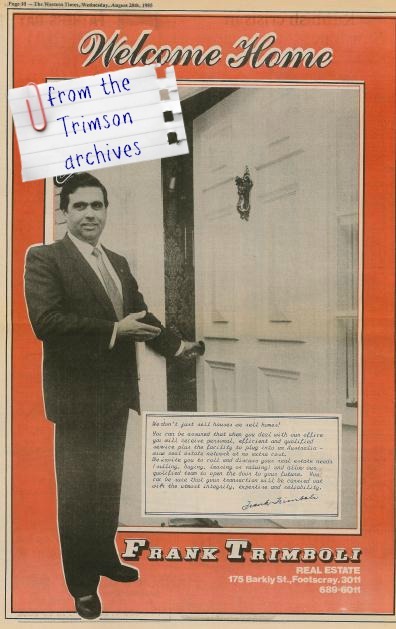 In my experience, very few agents have been consistently working in the industry long enough to enjoy such a treasure-trove of retro marketing – testament to the fact that Frank has kept changing with the times, and continues to do so today. We had the chance to ask Frank some questions about his time in real estate to date, his beloved Footscray and the music he likes to listen to best before he calls an auction. What did your family and friends say when you decided that you were going to be an estate agent? I left school at the end of year 12 despite my parent’s wishes who wanted me to continue with my education, at that time my prime ambition was to go into business. When I got a start in real estate my parents were quite happy on the proviso that I continue with my education. Similarly my friends were very supportive and happy with my choice of vocation. What is your favourite thing about being an estate agent and working in Footscray? I love the interaction I have with people and having the chance to assist them achieve the Great Australian Dream of home ownership. Having grown up and lived in Footscray all my life, I believe it has the greatest potential due to home affordability and close proximity to Melbourne’s CBD. What’s the song you most enjoy listening on the way to calling an auction? I have been a lover of classical music and somewhat an Opera buff. Having grown up during the rock and roll era, I enjoy all music in those categories. What is the biggest misconception buyers have about the home purchasing process? Although buyers are now better educated in property issues, the biggest misconception is around property values (what property is worth currently) and the unknown add-on costs in buying property (such as conveyancing and stamp duty). Where can Hometruths get the best breakfast in Footscray? Currently, the best place in my opinion is the Red Room at 79 Paisley Street, Footscray – only a short distance from my office. How can the local property industry improve it’s practice? By becoming better trained and educated in property issues so that the advice given to the public is precise in relation to all facets of property matters. Regretfully, rather than increase the standards of agents, Governments have eroded the criteria of entry to the industry. Do you remember the first home you sold? Can you tell us a little about it? Yes, I remember it vividly, it was during February 1959. The home comprised a double fronted timber home with an iron roof, located in Braybrook amongst housing commission homes. It sold for 3250 pounds. The property is still virtually in the same condition, I often drive past it. Frank Trimboli (at right) with his business partners Frank Forti and John Verduci – outside their Barkly St premises. Why do you think the public is suspicious of real estate agents in general? The low image of agents started during the land sales period some 60 years where some of the practices of agents were questionable. I believe that we have gone a long way since then by being better trained and educated. Describe the current Melbourne Property Market in a sentence. The current Property Market is quite healthy offering substantial potential to property buyers.